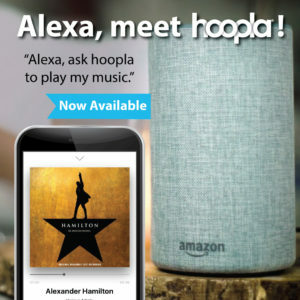 Hoopla now supports Amazon Alexa devices! You can play borrowed audiobooks and music albums directly on your Amazon Echo, Dot, Spot, and Show devices. For more information, including a list of commands, visit the hoopla FAQ page here. next post: Haunted Hoopla Is Here!